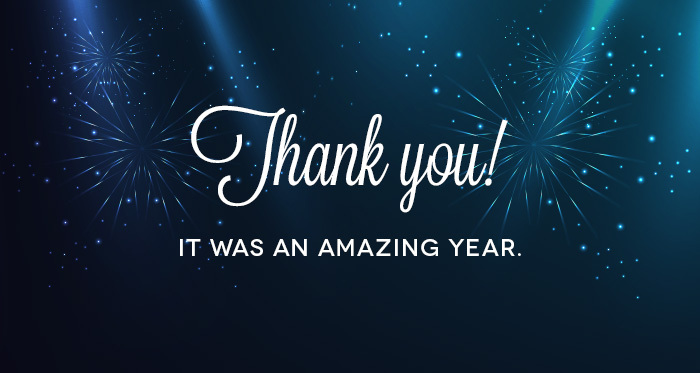 Home / Blog / Thank you, 2015 was an amazing year for RSJoomla! “Thank you!” You have helped us enormously to get where we are today. Took numerous actions to keep our clients safe though RSFirewall!, the constantly updated and perfected hacker and Joomla! vulnerability protection. To all of our clients and readers we always repeat “Keep your Joomla! CMS and RSFirewall! updated at all times!” and we want to emphasize that now as well because it’s the secret to keeping hackers at bay. RSFirewall! is kept up to date with any and all Joomla! CMS security changes. Often RSFirewall! already had protection for Joomla! vulnerabilities that appeared. Stay safe! The Template Club is something requested by our clients. We promised and delivered. It includes all current and future responsive templates and a 12 months multi-site RSMediaGallery! extension subscription. You pay once and reap a lifetime… well a year, but you get the picture. This solution also has a discount of a whopping 40% until 4th or January. It’s cold outside so get it while it’s hot! The Christmas holidays came bringing with them the pleasure of giving. RSJoomla! decided to put on the Santa suit and presents were given all around to its team and clients, the people that make everything possible. Christmas may have passed but RSJoomla! Santa isn’t done yet, the ho, ho, ho promotions are still available until 4 of January 2016. And remember, a year has passed and a new one full of opportunity for web projects is coming.